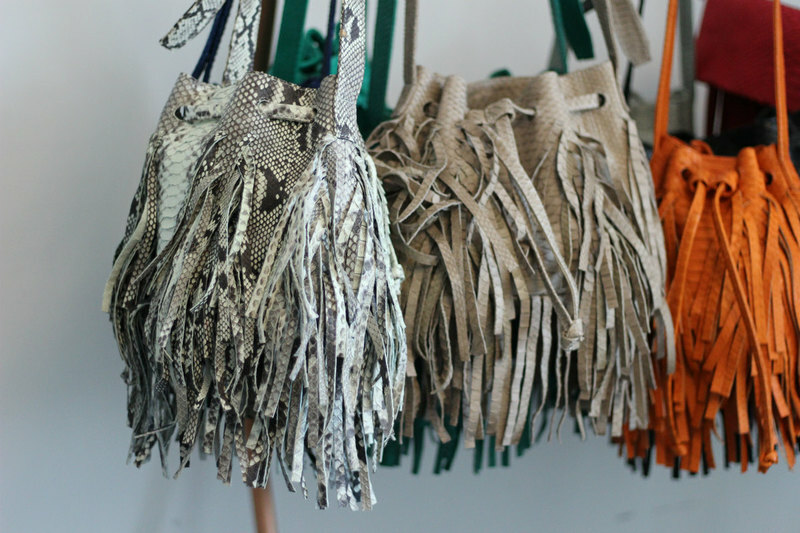 Miami designer Ximena Kavalekas is changing the accessory game, one bag at a time. Meet Bryon Rizzi, the Miami trainer who is bringing a new level of fitness options to our guests at Shore Club. When it comes to fashion and design trends, Miami is continuing to evolve and grow as a unique and powerful market. Designers are not only flocking to Miami throughout the year, they are also living here full time and selling their wares from right here in the Magic City. Over the last year, local accessory designer Ximena Kavalekas has found her place in the fashion world, thanks to a shared effort of local style bloggers, A-List stars, Instagram, and good old-fashioned word of mouth. We sat down with the spirited designer and discussed how she began building her bag empire. I am from Ecuador, my husband is Greek, we met in Miami. I’ve been living here since 2000. I was always planning to come to Miami. My family came here all the time, even before I was born, Miami was the vacation place. Also any time I went from Europe to Ecuador, I had to come through Miami. Your success in the handbag world was really quite serendipitous. Tell us about that journey. Well, I studied in Italy for 6 years, and I had a handbag business for a while but it didn’t quite work. I was always into handbags, but that first time around was really a horrible experience. I realized it wasn’t right, I had to focus my energy elsewhere. I became very involved in my children’s school. Then a classmate of mine from Italy contacted me, and she is connected with a great factory in Italy, and we started talking and she had faith in me that I was going to be a success. She called me while I was in Greece, and we went to visit her in Florence, and I designed some bags for fun—and she manufactured them and sent them to my house. She appealed to my ego! From day one, here in Miami, the bags got attention. By November, the bags were gone and I had to reorder from her another shipment. It was meant to be. I can't explain it really, people meet me, and they like me, and they want to help me. All of the bags have names after people who have helped me along the way and who inspire me, and my website explains that in more detail. The bags are made in Italy, and they are vitamin enriched. They are water resistant, and retain their shape incredibly. The Catarina bag takes 5 days to make by one Italian artisan, and it is made by hand. We inject the skins to be durable, flexible, water resistant. Then, we select the colors and inject the skins with base color. Then, when we color the skins and soaking them in the colors we want, the base helps it to absorb. It’s a very unique process, no two bags are the same. 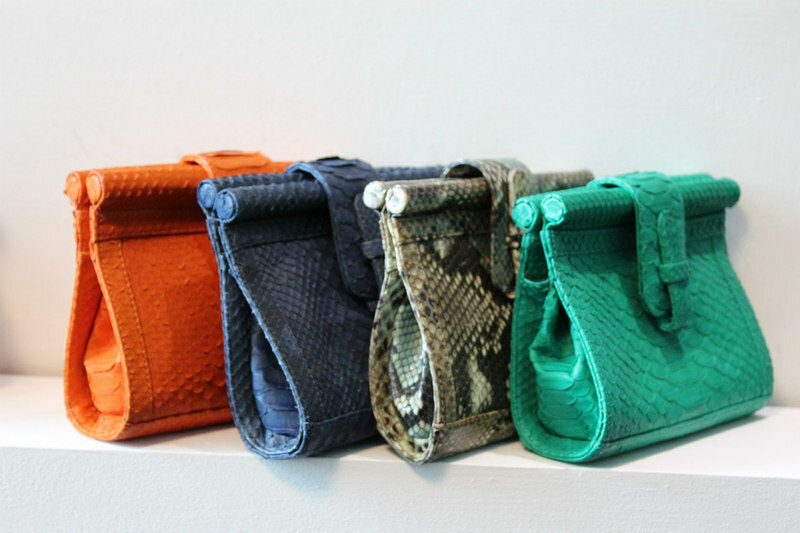 Your handbags and accessories are made from farmed pythons, what do you want people to know about the process and your role with the environment? I have the support of the Fish & Wildlife Foundation, which to me is very important. A portion of sales goes to the Python Patrol, which is a very important group here in the United States. To me it is important that I am seen not as a python killer, I am trying to help the environment and hopefully in the future can use the invasive pythons for my bags as well. What do you find inspiring about Miami? I adore it because it feels like a mini Ecuador. I feel Latins are one family. But Miami is like my home. Who are some of your favorite local fashion personalities? Bloggers! Thanks to them, honestly they have helped me so much. Michelle from Something Hippie has helped me from day one here in Miami. She has been great. She saw my bags at the first bazaar, and she suggested I open an Instagram page, and I named a bag after her. Really, here in Miami I meet people, and we have a connection, and it goes from there. What was it like to see Sofia Vergara carrying your bags for the first time? My PR girl setup the meeting, but Sofia really loves my bags, she has a few! She has the Mandolin, the Jenny, and a few other styles. What type of woman carries Ximena Kavalekas? Everybody who wants to make a statement with their style! Except maybe not people who have pythons as pets. Where can your bags be purchased? Here in Miami, you can find them in Capretto, Azur, and of course online through my Instagram. It is amazing how much Instagram has played a role in getting my bags out there, and I know I have already said this, but I really I think it is my time to have success. Which designs are the most popular/best sellers? All of the structured bags - the Katerina, and the Mandolin, the Jenny, and of course the straps to change and wear the bags in a new way. People like to customize the bags, mix colors with prints and have a bag that is reflective of their style. You currently design bags, as well as other python goods. What’s next for you and your brand? This has all been such a whirlwind, I am just enjoying every single day of my life and going with the flow. I don’t think about tomorrow, I enjoy today, but I remember what has happened to me before. So I am cautious, but like my mother said, today is just one day. Do as much as you can, enjoy as much as you can, and have fun. Your brand has been around for less than a year, and has grown tremendously. How big of a role has social media played in launching your line? To be completely honest, my business is based on social media. Between my children’s school, word of mouth, friends, and social media - it has been everything. And of course the bloggers and people I have worked with, it has been a tremendous help. Instagram has opened a lot of doors for me - it is how Bergdorfs found me! Favorite restaurants: Mandolin, I adore it. Mariposa in Neiman Marcus, I go there a lot. Favorite place to grab a cocktail: If I have my prosecco, it really doesn’t matter where I am! I don’t go out too much, but sometimes maybe at Soho House, but really anywhere I am. Hillstone’s in Coral Gables, we go there a lot too. Merrick Park is my usual area that I am around, I think. Favorite cultural experience in Miami: I love the Perez Museum, and it is right across the street from my showroom, I adore it. Best way to spend a day off: With my husband and my kids and my puppies, and of course my glass of prosecco. Want to meet Ximena and see her accessories in person? 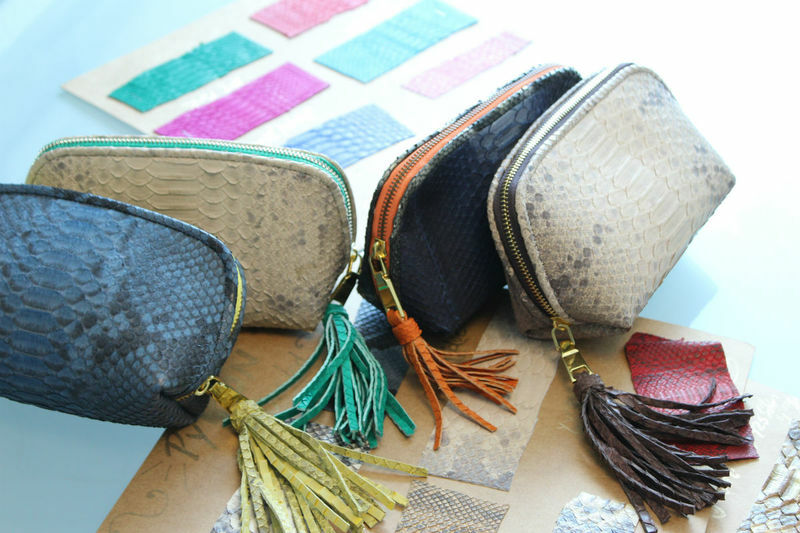 Don't miss her trunk show Dec 8 & 9, hosted by Michelle Harper right here in Miami. More details to follow.